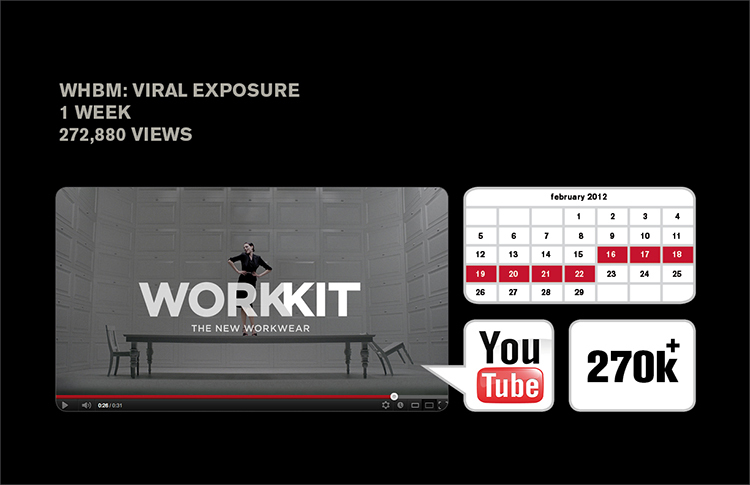 above are the youtube views after just one week following the spots’ air date. above: views on youtube almost doubled in the second week. and what can you make of 360K views? is that good? maybe great? it depends on the brand, and its past performance to judge such a result… a valid question to ask is, what is the benefit of having an agency? what is the point of having an entity that focuses on the art of communication when you have great fashion directors and photographers to work with directly? the answer is, there are no benefits if you are considering traditional agencies. on the other hand, there are many benefits, especially when you have marketing expertise and creative insight combined. 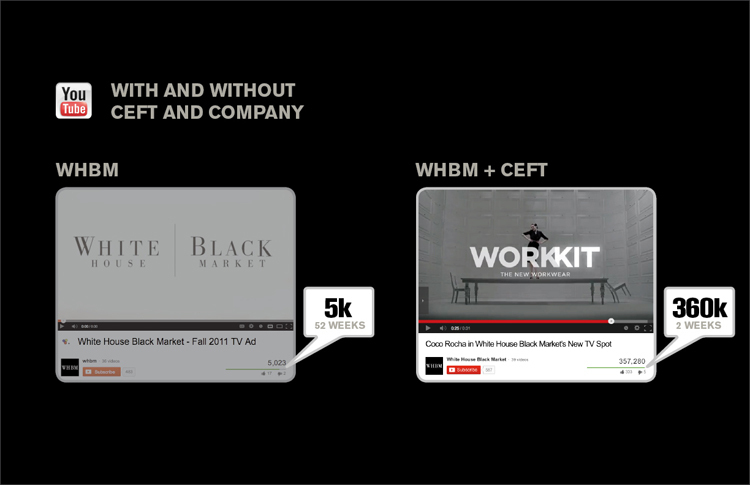 the above numbers display the results of traffic (on youtube alone, not accounting purchased media results) comparing views on white house black market’s tv spot produced directly with a respected director on the left compared to the one on right, in collaboration with ceft and company. note: the numbers are for the duration of 52 weeks on the left (client) compared to 2 weeks on the right (client + agency). 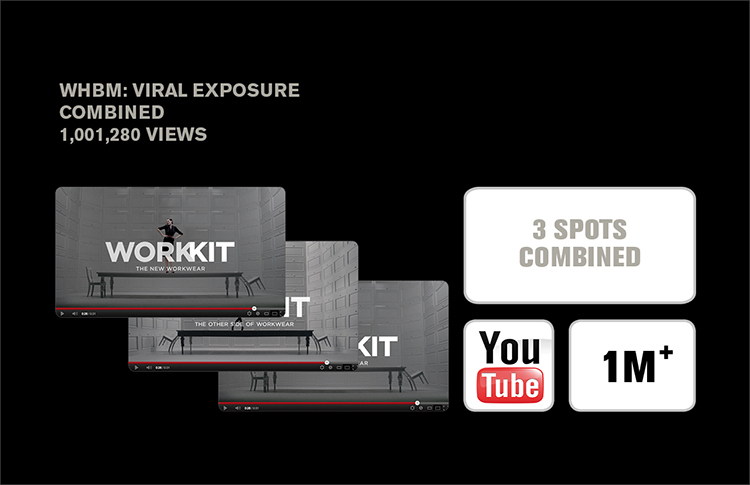 combined views for the 3 spots produced by ceft and company on the web alone topped 1 million in 14 months (april 2012-june 2013). monthly activity on social media channels such as facebook spiked. 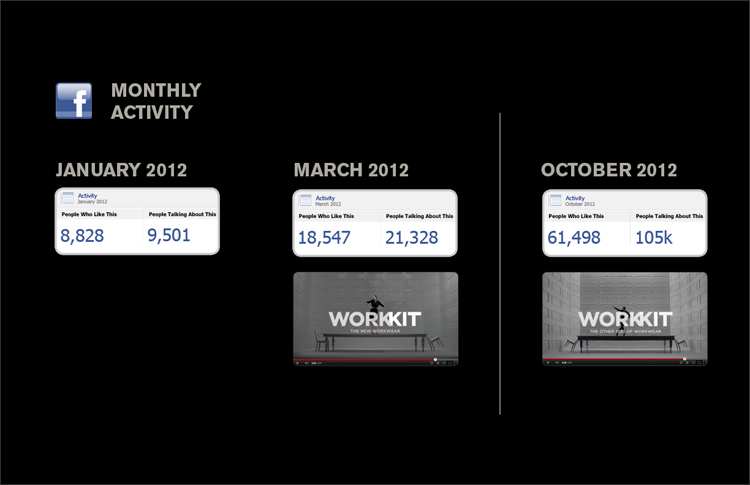 above: january 2012 before the campaign launch, and march and october respectively during the launch of spot 1 and 2.
above and on the left: total combined views of all WHBM video on the clients channel in 3 years totaling 15K. 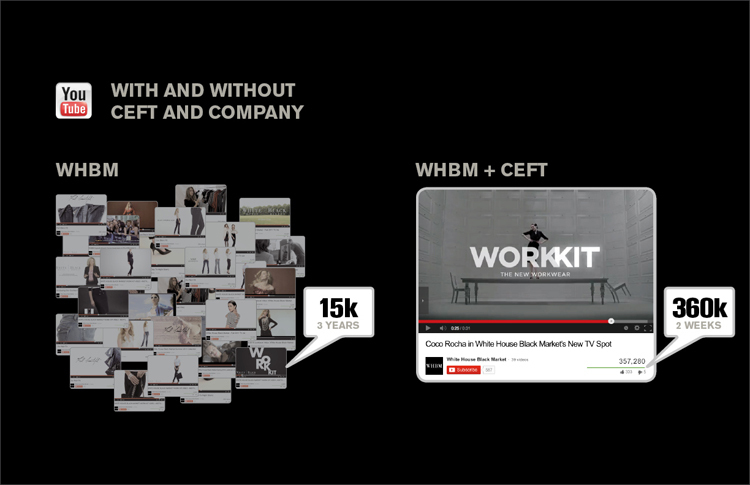 on the right the first video in collaboration with ceft and company totaling 360K in just 2 weeks. 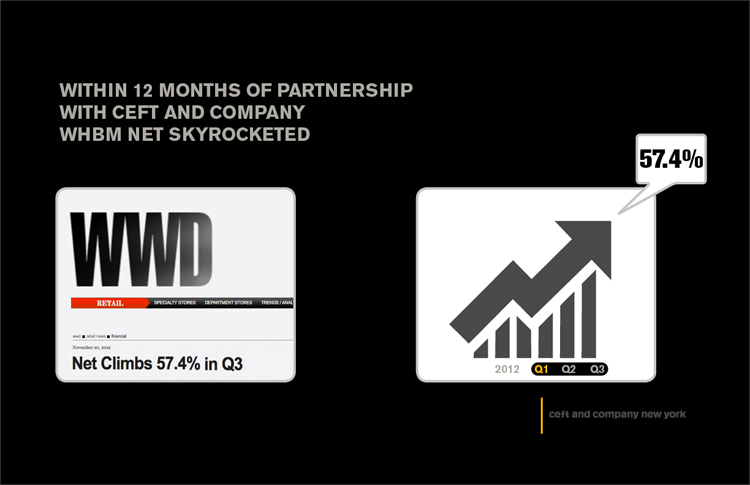 company stocks in Q3 climbed 57.4% within 12 months of partnership. if interested, please view the post showing some unprompted comments and discussions about the work from consumers on facebook, youtube and other social media if you click here. you can view the second commercial here, and discover the behind the scenes on how it all came together here. view all work related to this project.